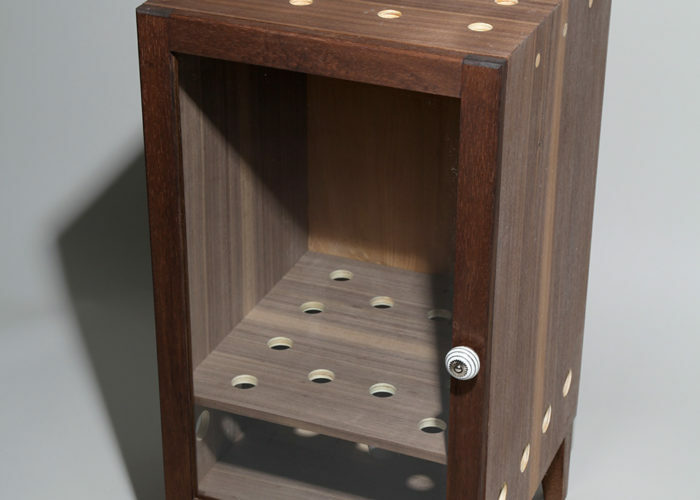 The Lyctus beetle is not a friend of the average woodworker. 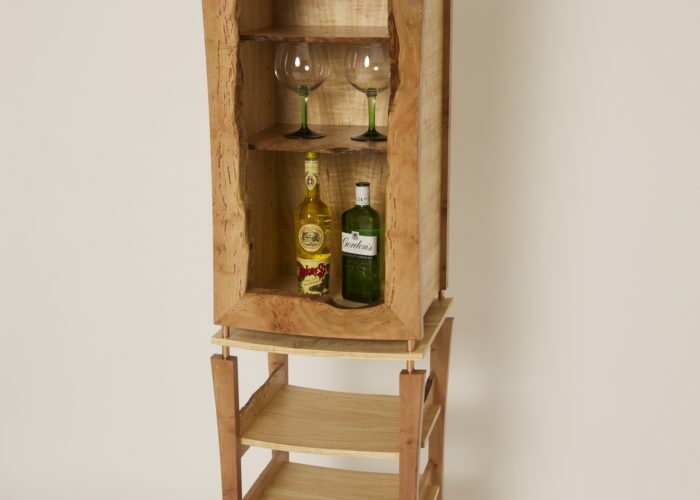 Upon discovering that the sapwood of some carefully selected London Plane had been attacked by this little beast, I decided to celebrate rather than curse its unwelcome intrusion. 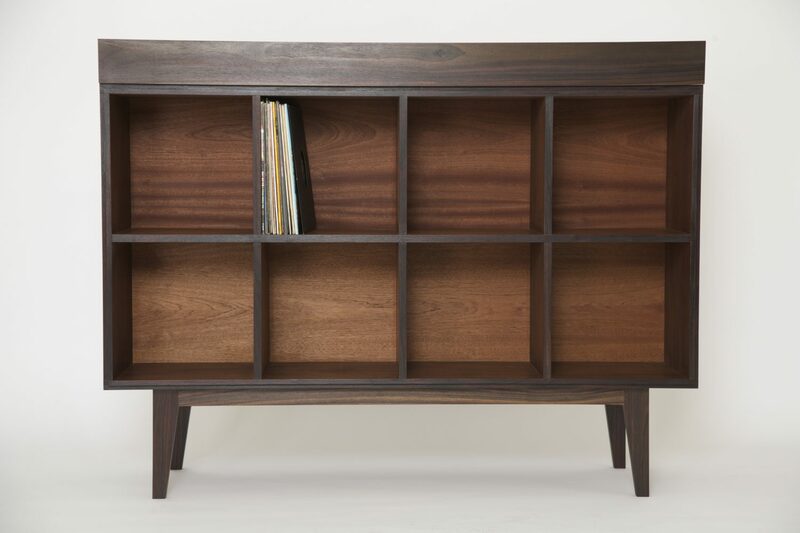 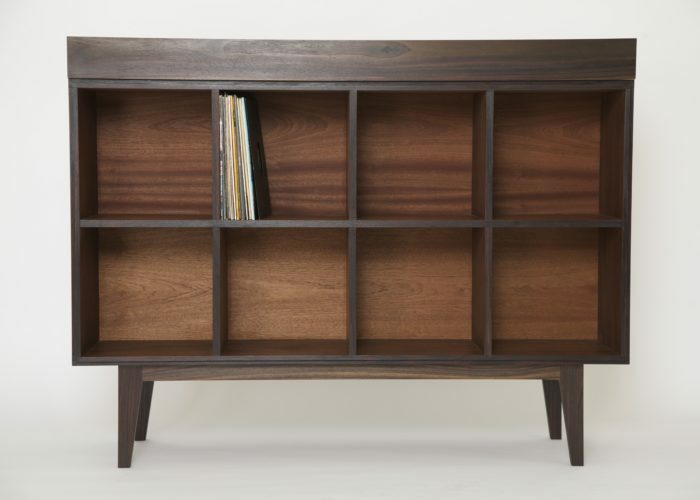 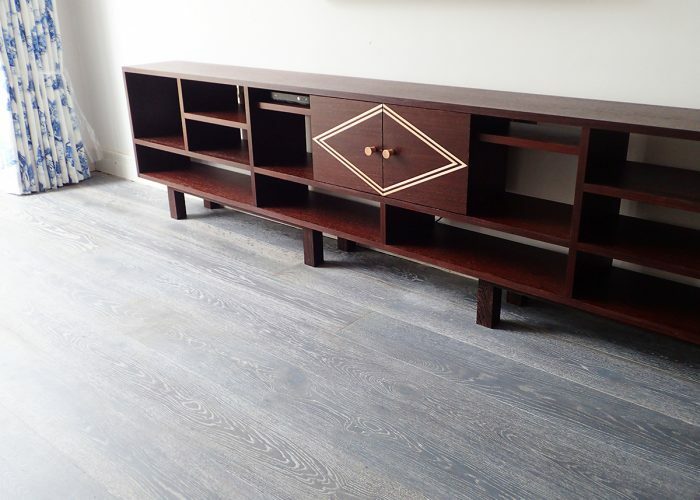 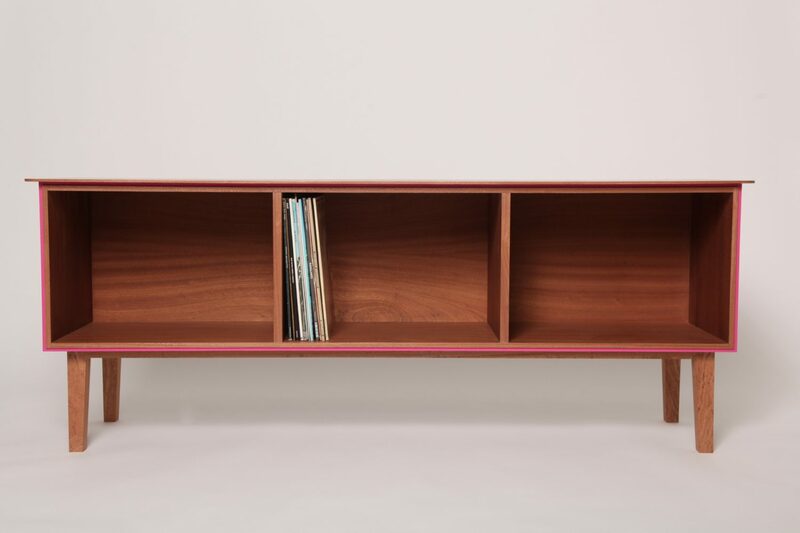 A sapele cabinet made to house a client’s much cherished collection of vinyl. 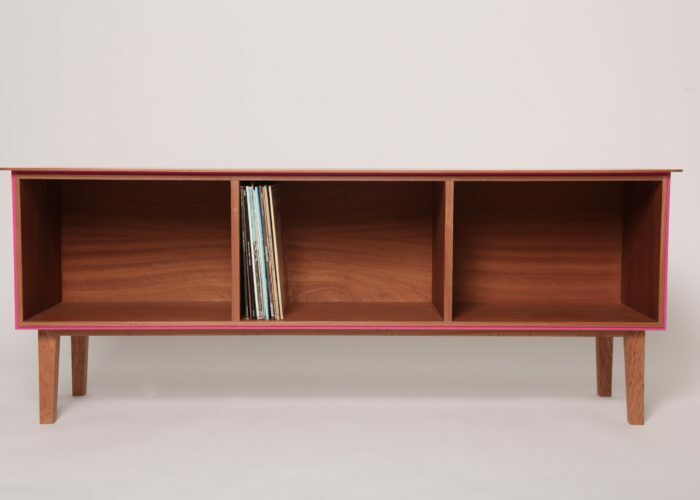 This piece has overtones of mid-century design with its slender top and clean lines, while the rebated pink edge adds a contemporary feel. 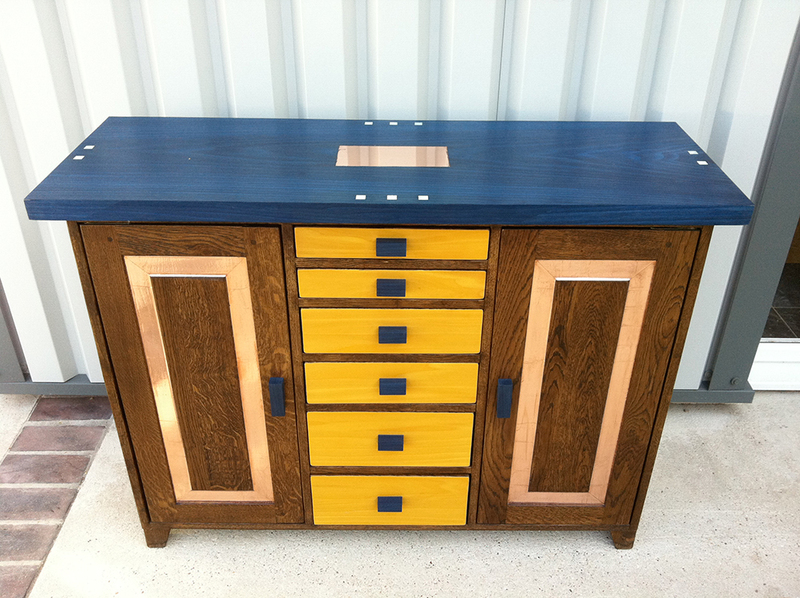 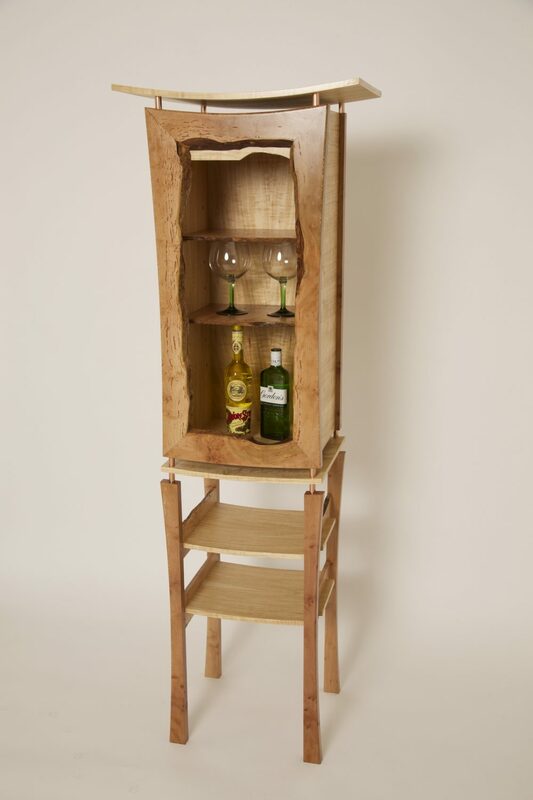 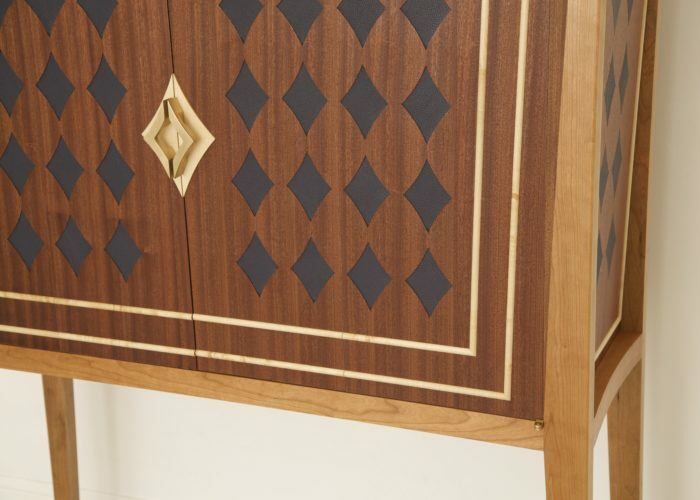 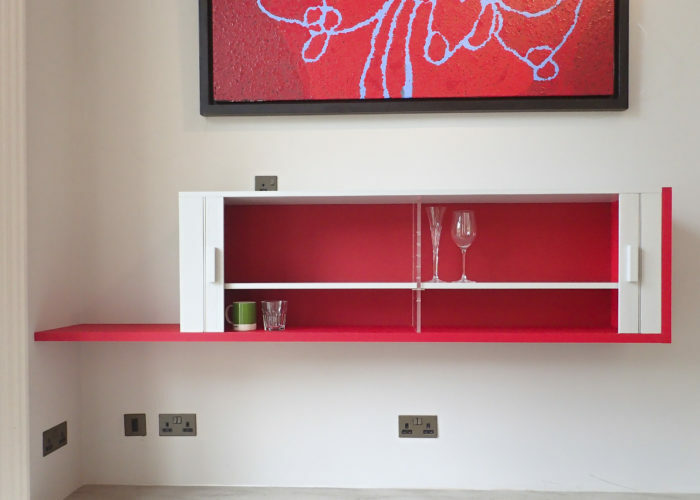 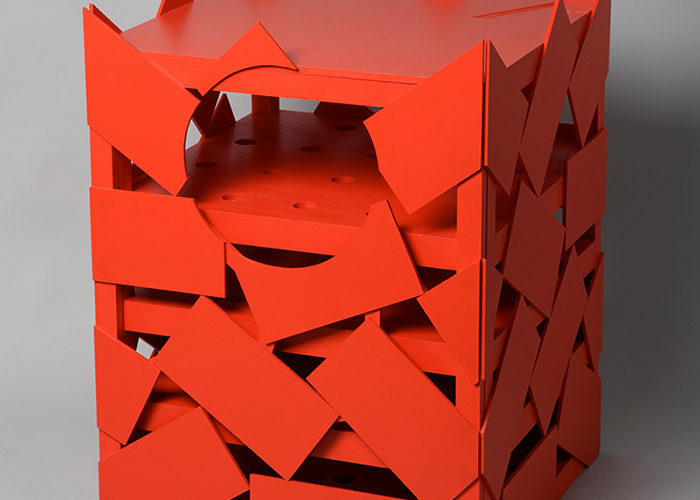 A vibrant cabinet built to house a projector and other sundry multimedia. 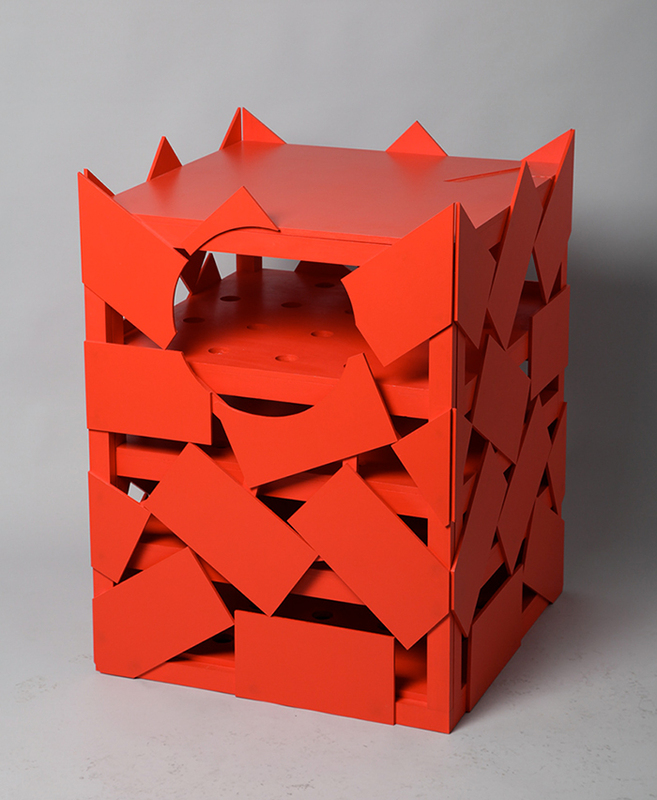 Colour matched to a replica Louis XV throne. 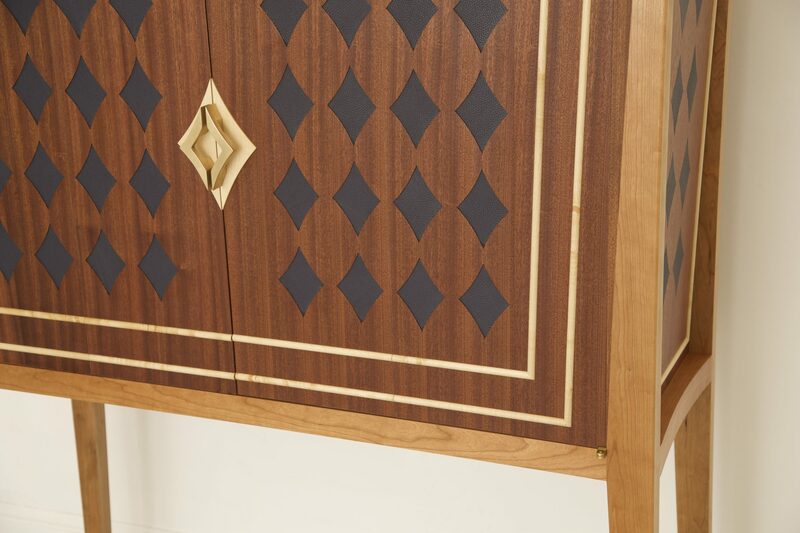 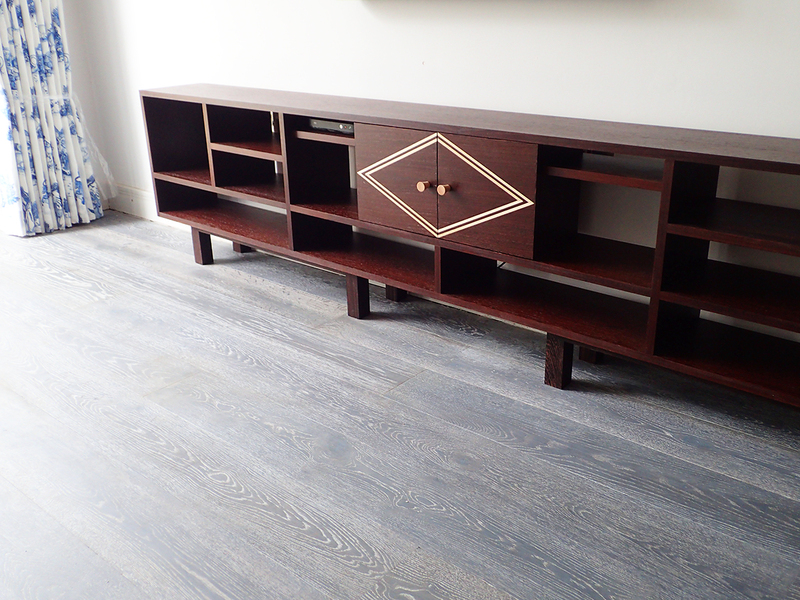 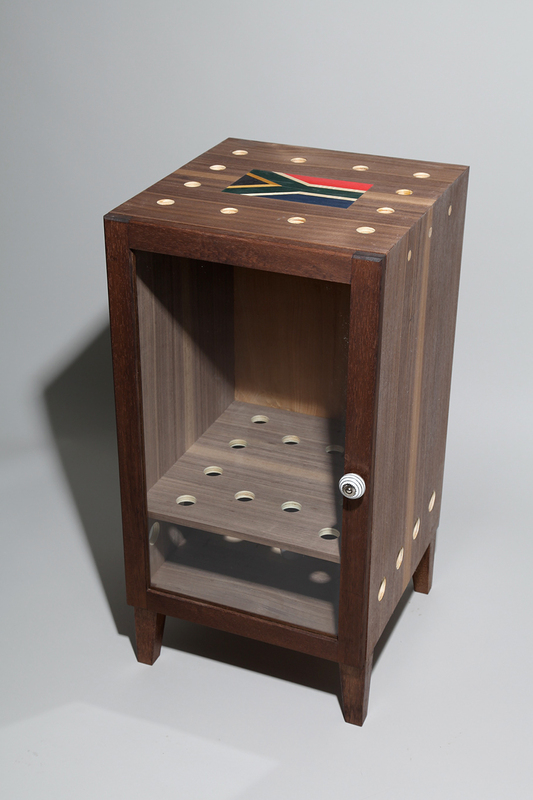 Dryer in quartered walnut and stained meranti, with marquetry flag in various veneers. 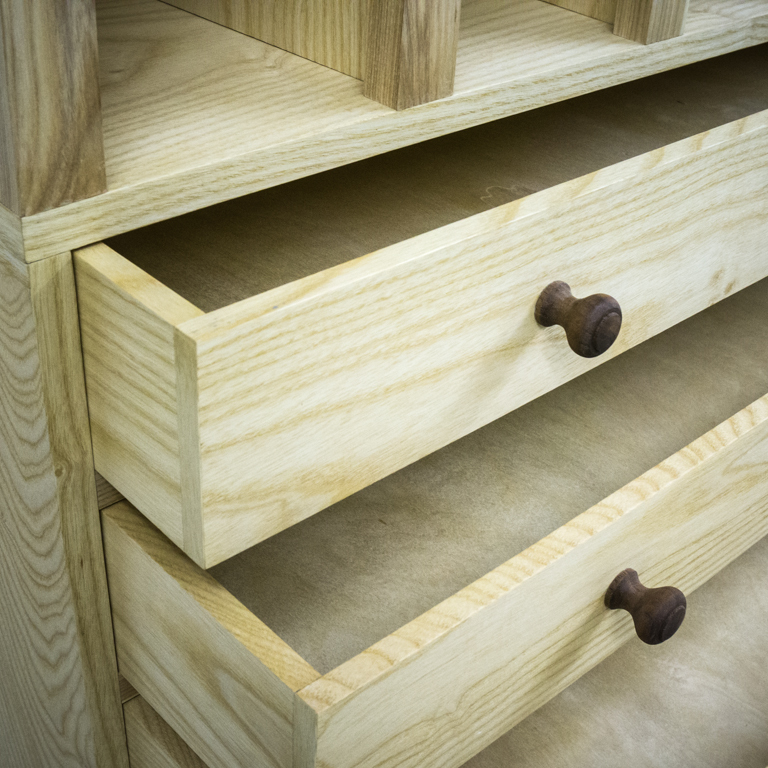 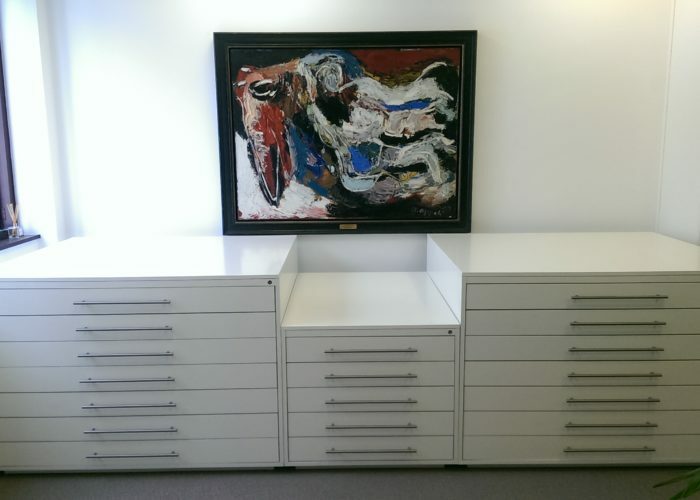 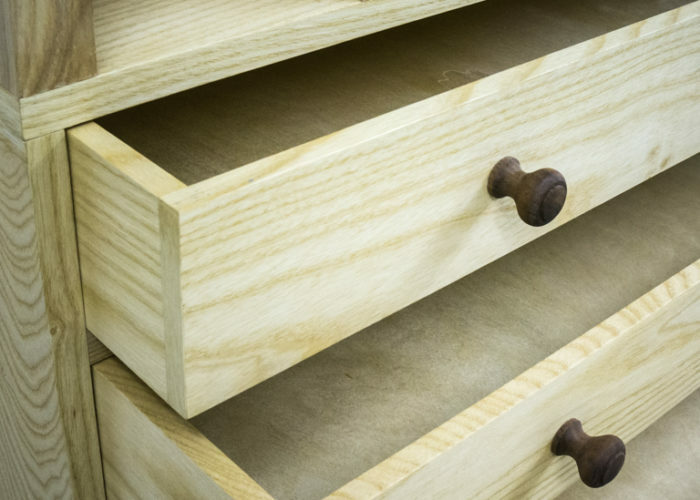 A lateral drawer plan chest in three parts commissioned to house artworks in an office. 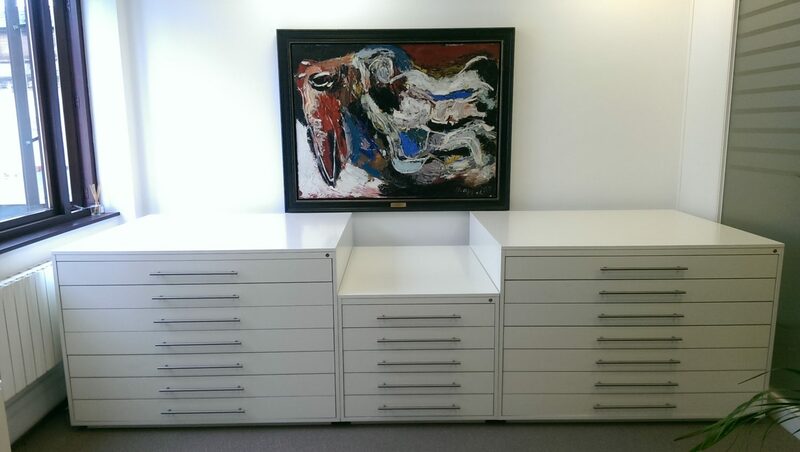 The larger drawers are over a metre square.